Isn't it funny what makes us happy on the inside from time to time? I want to share a moment with you that warmed my heart. I work in a school in rural South Carolina. My final turn towards the school involves passing the Hissy Fit Farm. It is a small, family farm full of all the typical animals. I posted before about the Guineas they have. I know the family, and that makes the farm even sweeter. This week has been program week for me at school. This year I worked very hard on telling the nativity story to all 235 of my students. It is not a Christian school, but it is a community school that allows me the freedom to share the Christmas story. I centered our program around the Joy of Jesus in the Christmas season, and we spent time in each class talking about different parts of the story. Retelling the story day in and day out has really been good for me. I have thought so much about that first Christmas this entire school year. I suppose the two things that have stood out to me most was the stable scene and the experience of the shepherds. A stable full of animals from the weary travelers to Bethlehem. Imagine that. The simple life of a farm hand. Simple is the word that comes to mind. There are so many things and reasons to contemplate why God choose to come to this world in the way that He did, but I cannot help but think that part of His reason was to show us the gift of Simplicity. You see, nothing hits the heart strings quite like the simple joys of life. Everyone feels some warmth of soul when we visit special, simple places. 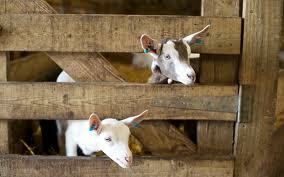 Take one field trip with children to any farm or barn full of animals and you will know what I mean. It is like life at its basic and best. In any cozy barn or stable, nobody needs to see the trappings of our materialistic world. We are content to just be and to relish in life. We expect hay and warm wood. It feels good to our soul. God came to us in that simple way. He chose that place to begin His earthly life. He also chose to tell the Shepherds first. The simple men of the times. The very men that most forgot. The ones that did the quiet work, yet kept their villages going. See, God loves the simple. He loves taking away all the distractions so that the important things are not forgotten. There, in the night, a baby was born. Amidst the hay, wood, and the animals the greatest Hope came alive. We all would do well to relish in those thoughts. Smell the hay, hear the crunch of animals musing around, and feel the warmth of the soft coat of a sheep. Feel the love of the Saviour of the world. You see, as I was driving in this week to finish the decorations, I passed the farm just as a blowing rain began. The little goats all ran to the stable to dodge the wetness. It was such a silly moment, really. All these happy little feet running for cover. There in that instant I thought of the nativity. I do not pretend to know the details, but I wonder what the scene must have been like. Little goats wandering in for shelter finding the Creator Himself.